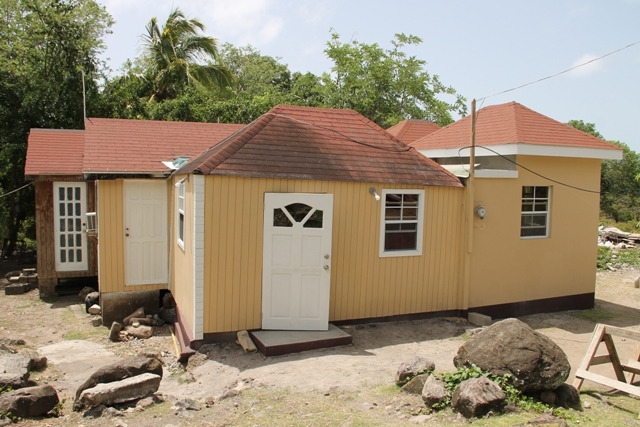 NIA CHARLESTOWN NEVIS (JUNE 16, 2016) – The Ministry of Social Development in the Nevis Island Administration (NIA) continues to fulfil its promise to provide the island’s senior citizens with improved housing facilities. Junior Minister of Social Development Hon. 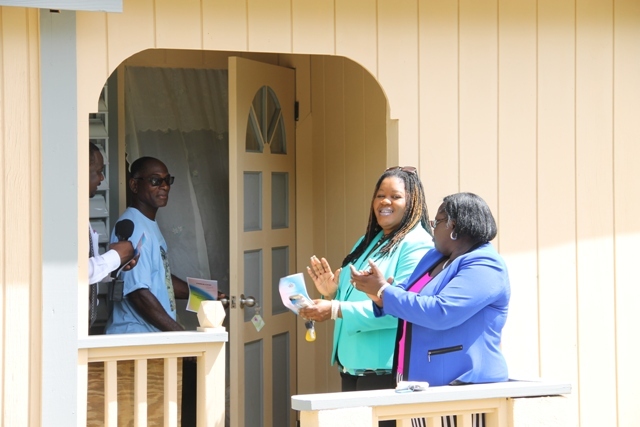 Hazel Brandy-Williams, on Wednesday June 15, 2016, officially handed Marjorie Walters of Brick Kiln Village, Egbert Clarke of Butlers Village and Ingrid Browne of Hickman’s Village the keys to their newly-constructed or upgraded homes. 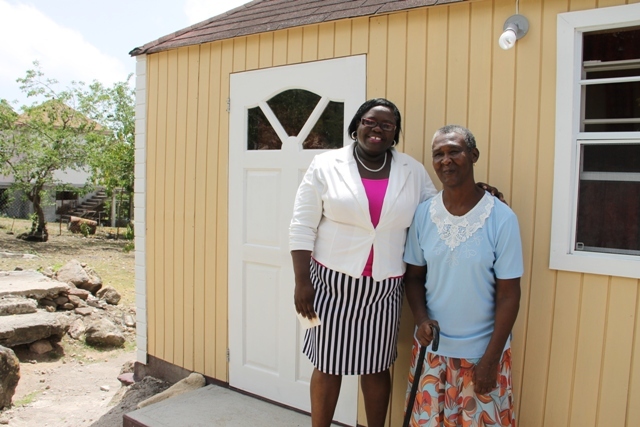 Marjorie Walters of Brick Kiln Village was the first to receive keys for a brand new, unfurnished, one-bedroom, home from Mrs. Williams. Water and electricity were also installed and under an initiative launched for seniors in 2013, she will be able to utilise both utilities free of cost. The second recipient was the Clarke family. A section of the family home was refurbished and extended to accommodate three generations including two seniors. Egbert Clarke received the keys on behalf of his family. On the final stop, Ingrid Browne was presented with keys to a new addition on her home that will assist with her disability. 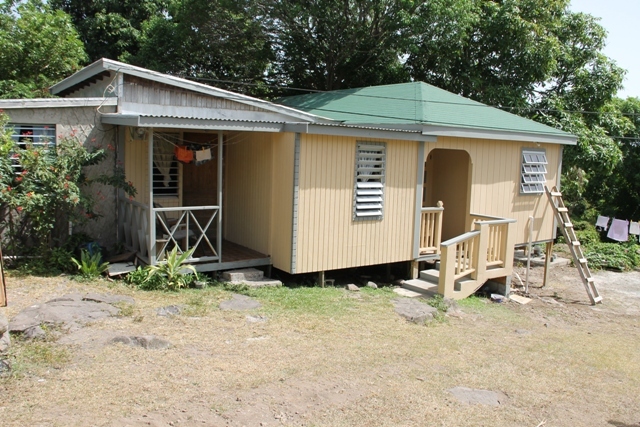 Mrs. Williams explained, that the triple handing-over event was part of the ministry’s Community Housing Programme. She said the initiative provides vulnerable citizens on the island with new homes or enhancements to their existing homes, to improve their living conditions. It enables impoverished and indigent citizens on the island to move from their dependency on others to independence, contributing to a more stable community. 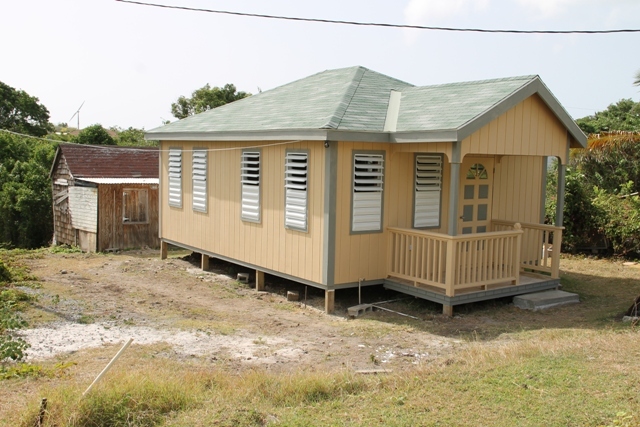 “We have undertaken the project of going through our communities…and trying to alleviate the stress of our poor and indigent and one of the areas in which we are doing this is by giving or assisting in…homes,” the Minister said. 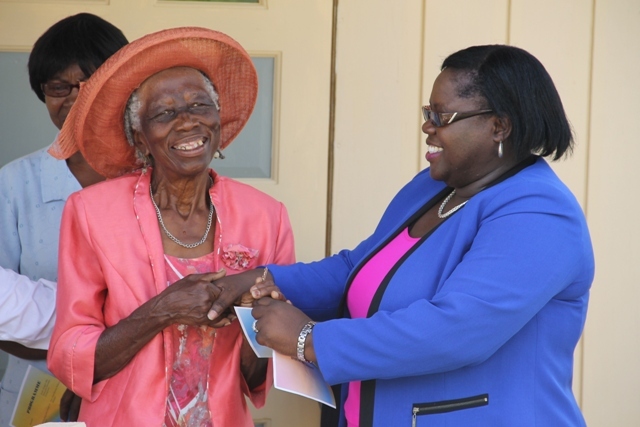 Mrs. Williams stated, that although the programme has proven to be beneficial to the senior citizens on the island, it also contributes significantly to human resource development which, in turn, enhances economic development on Nevis. In response to the gift, each recipient thanked the Ministry of Social Development, specifically Minister Hazel Brandy-Williams, for ensuring that they are cared for and that the administration is keeping to its promise to assist the vulnerable and less fortunate persons on the island. Also present at the handing over ceremony were Permanent Secretary in the Ministry of Social Development Keith Glasgow, Assistant Secretary Michelle Liburd, caretaker in the Seniors Division Glorita Vaughn, and Father Rudolph Smithen and Rev. Careen Whyte-Richardson who blessed the homes.